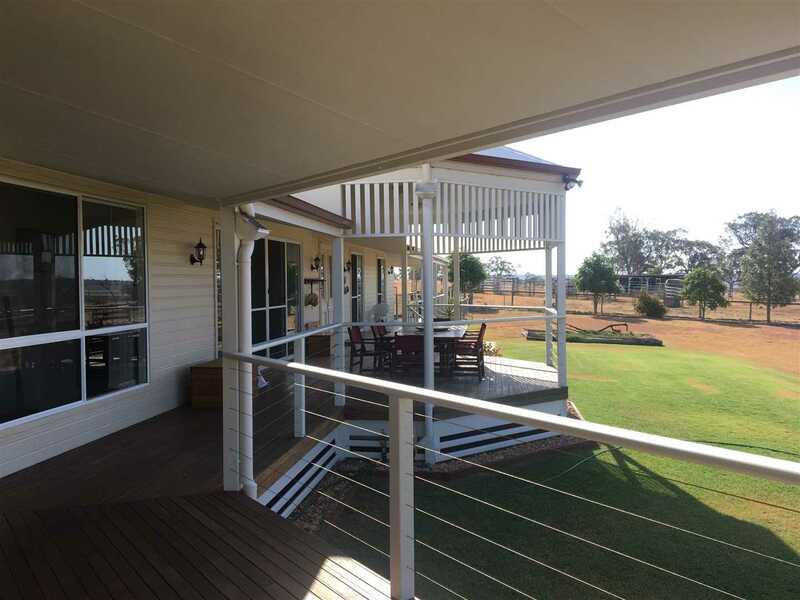 The 2011 built majestic weathertex homestead on this property will surpass the expectations of most buyers and is an absolute stand out. 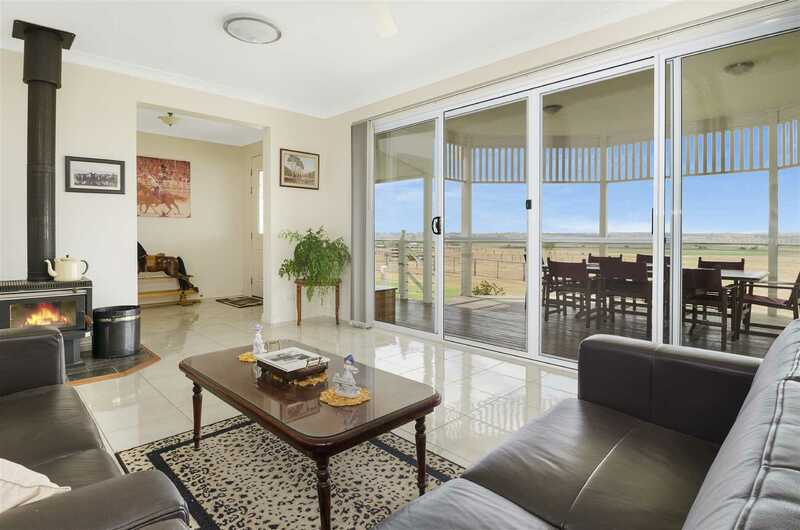 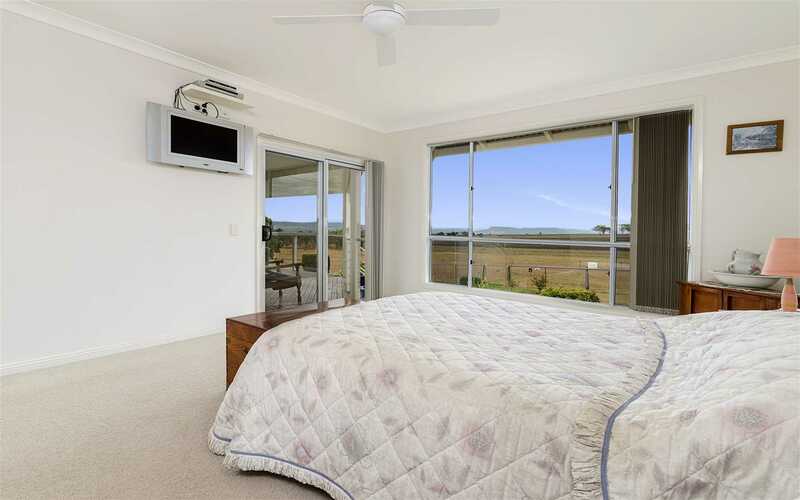 Three of the four bedrooms open up to the large front verandah offering breathtaking views over the downs to the north. 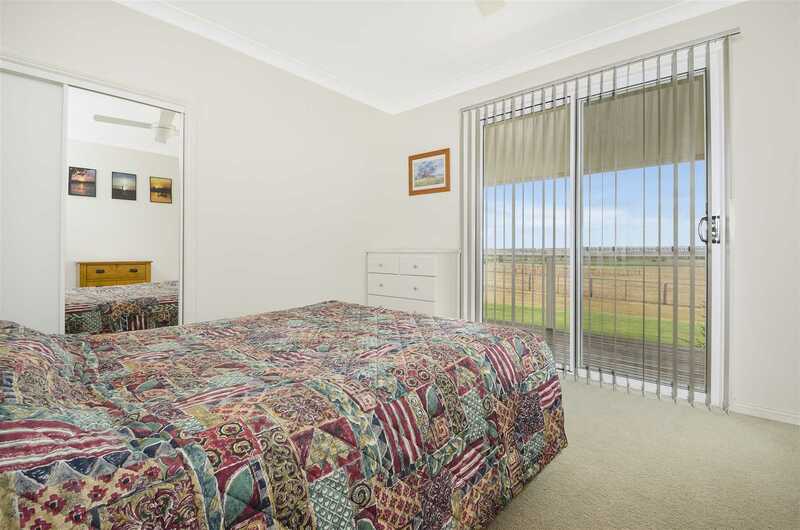 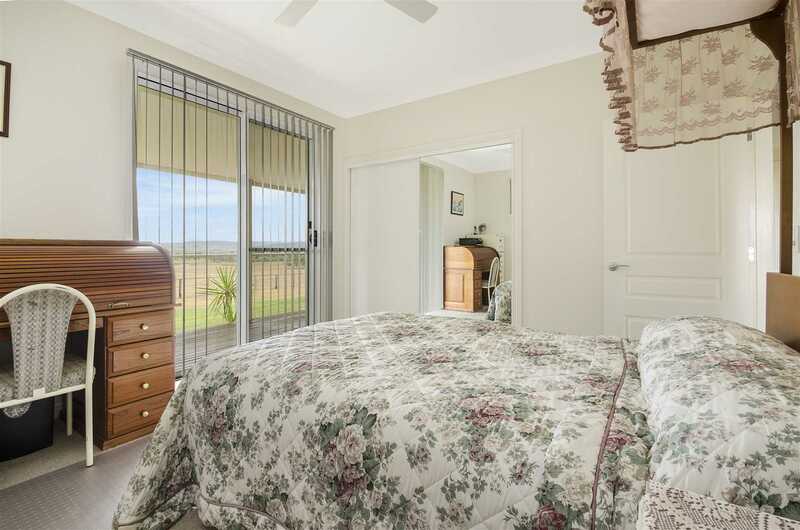 All are carpeted with ceiling fans and the very large main has a WIR, ensuite and separate toilet. 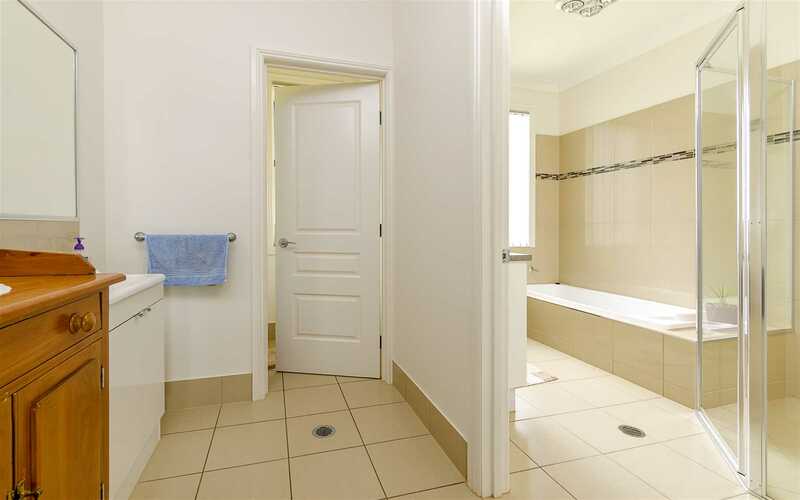 Entry to the home is via the foyer which leads to the tiled living area with wood heater and the wide hallway with several doors allows entry throughout the building. 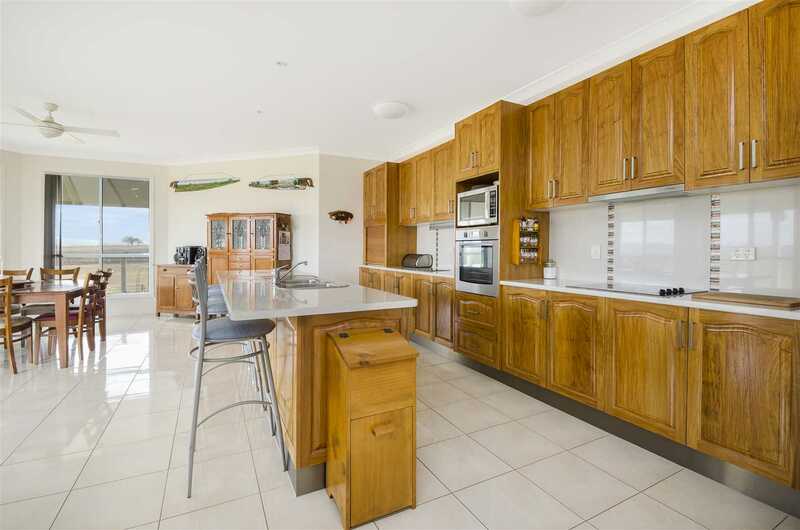 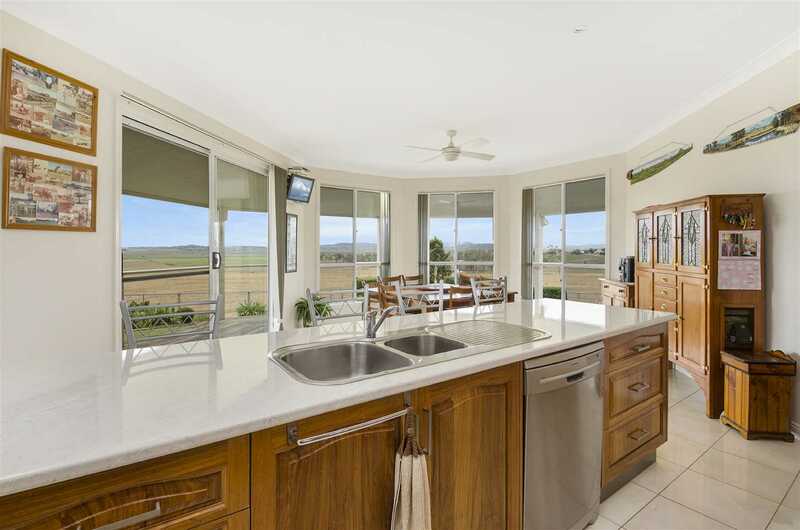 The massive kitchen/dining area features New Guinea Rosewood cupboards, electrical appliances, dishwasher, large pantry, opens up to the verandah with unlimited views to the north. 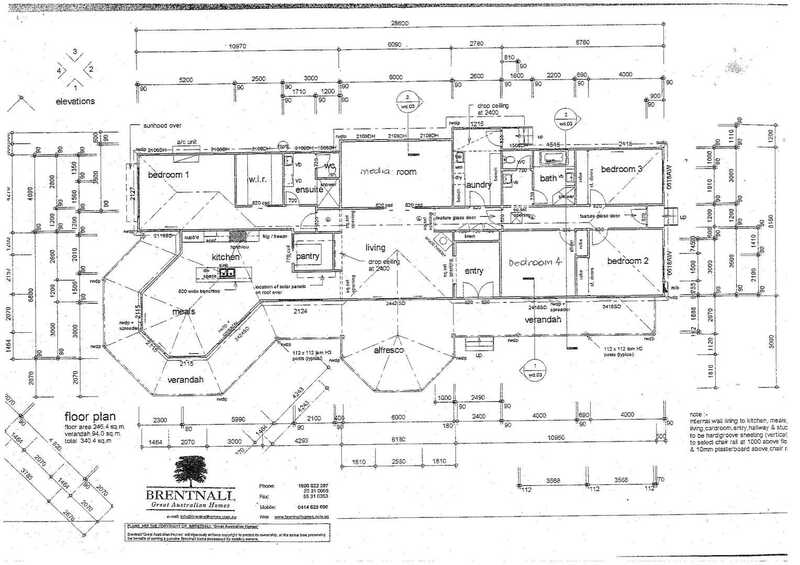 A formal A/C lounge, large laundry, and powder room with vanity serves the main bathroom with bath, separate shower, and separate toilet. 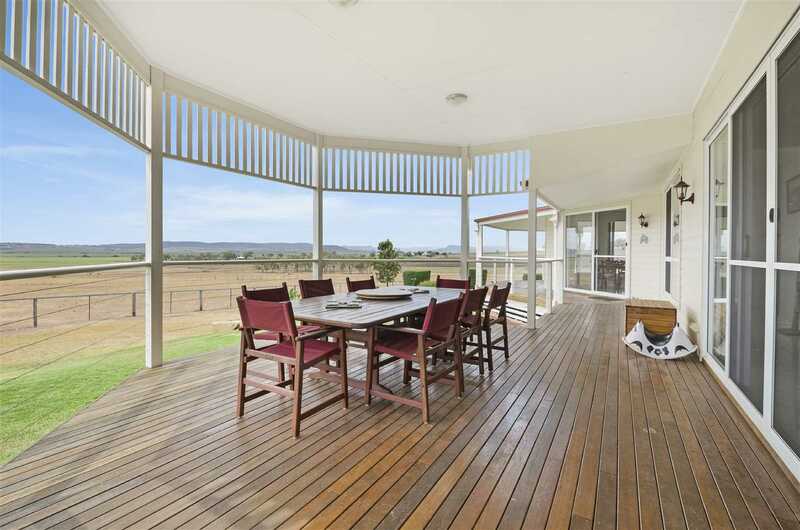 Enough can't be said about the massive wrap around covered verandah on the northern side of the house which also accommodates an entertaining area. 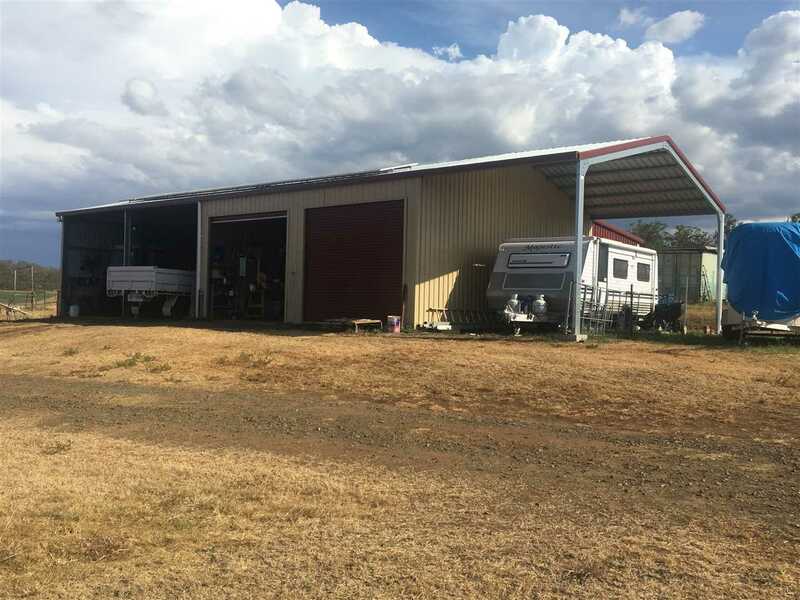 There is a solar/electric hot water system and a 12 panel, 3 Kw solar system feeds the grid. 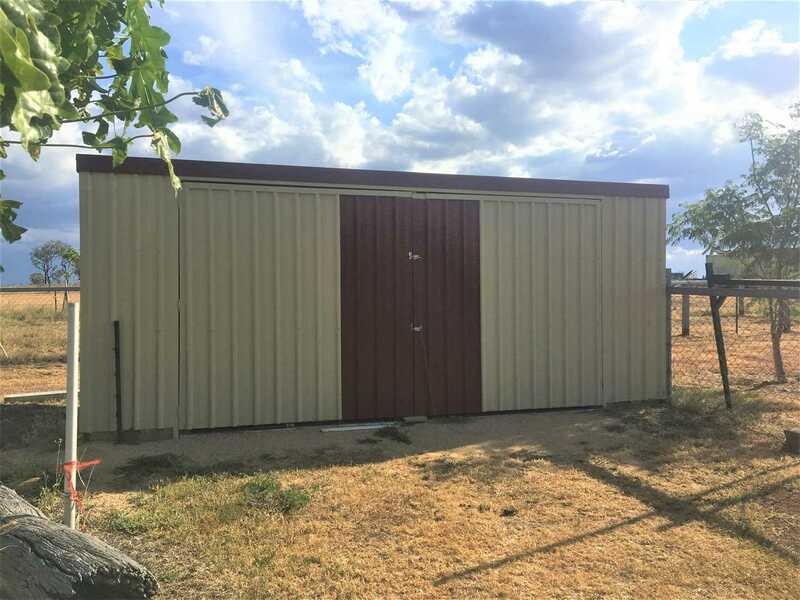 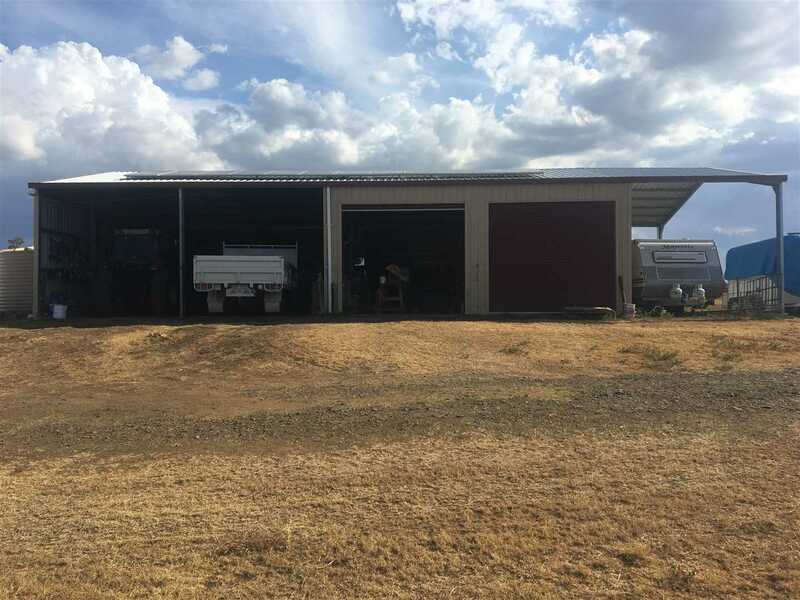 The two bay garage attached to the house is complimented by a large 5 bay machinery shed with 2 lockable bays and roller doors. 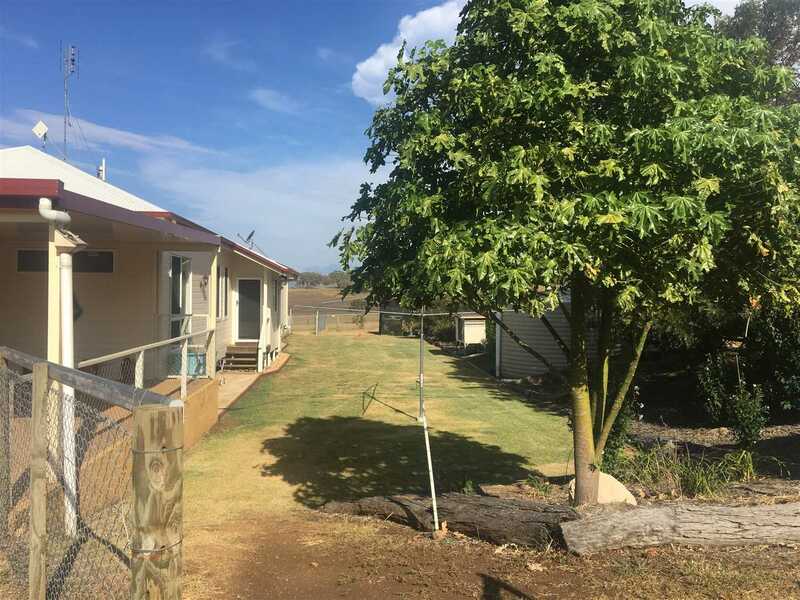 Water is supplied by a bore with electric submersible pump in addition to 2 X 5,000g rainwater tanks, and the house, shed and bore are all connected to 3 phase power. 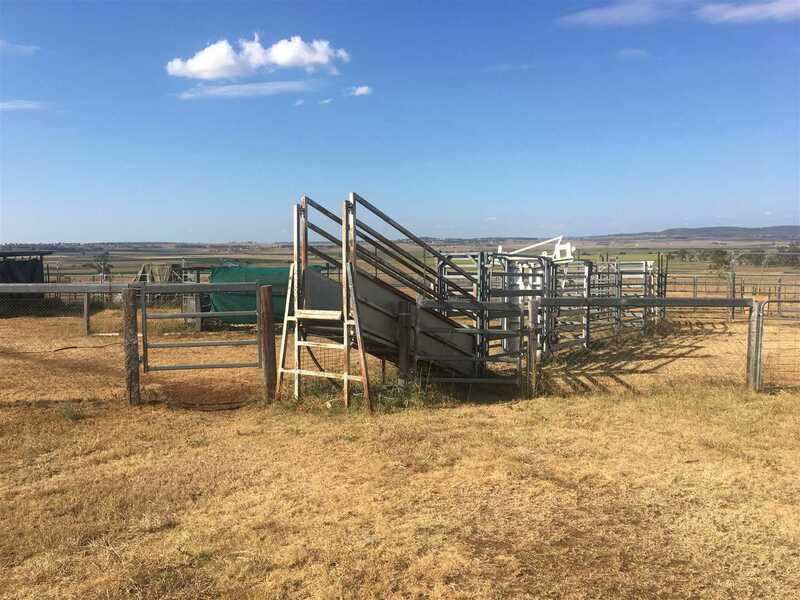 A steel set of portable yards with loading ramp and hay shed provide all the required stock handling facilities, the boundaries are well fenced and a number of internal, movable electric fences allow flexible grazing strategies. 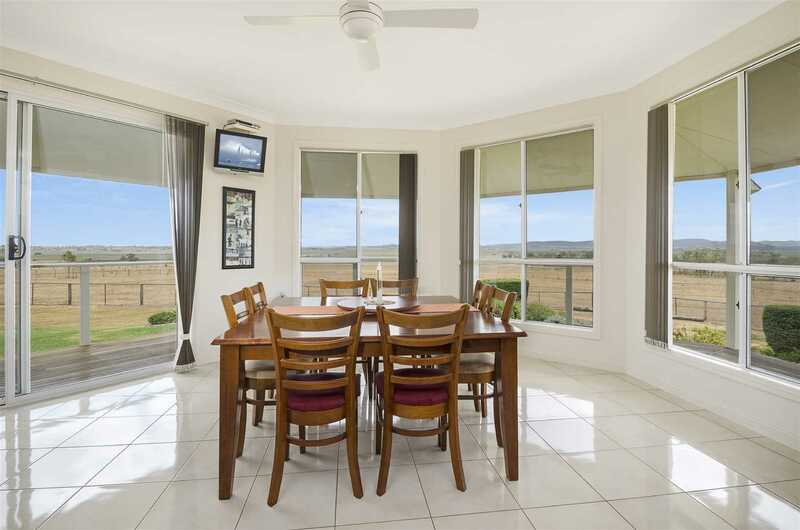 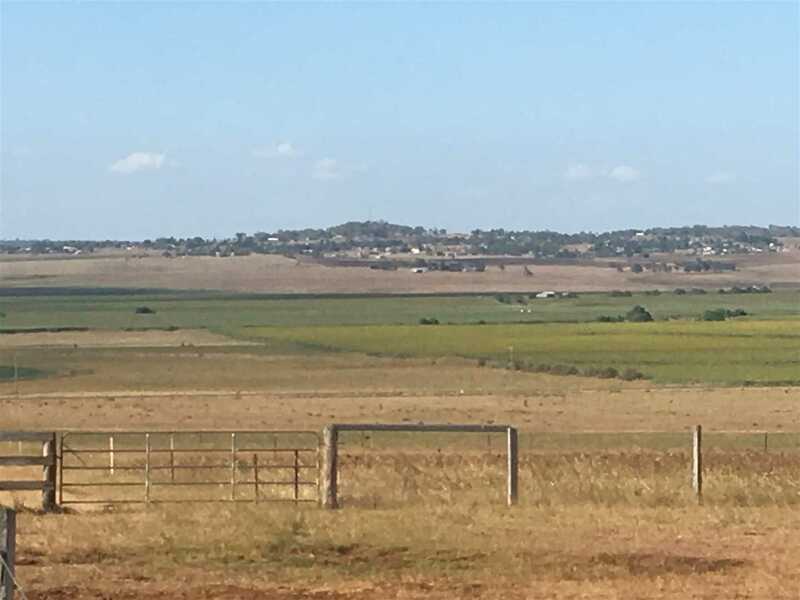 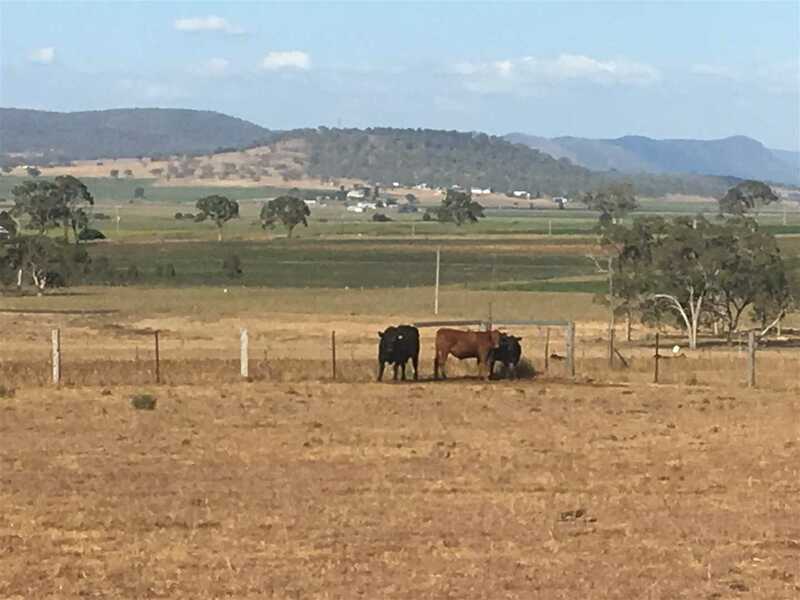 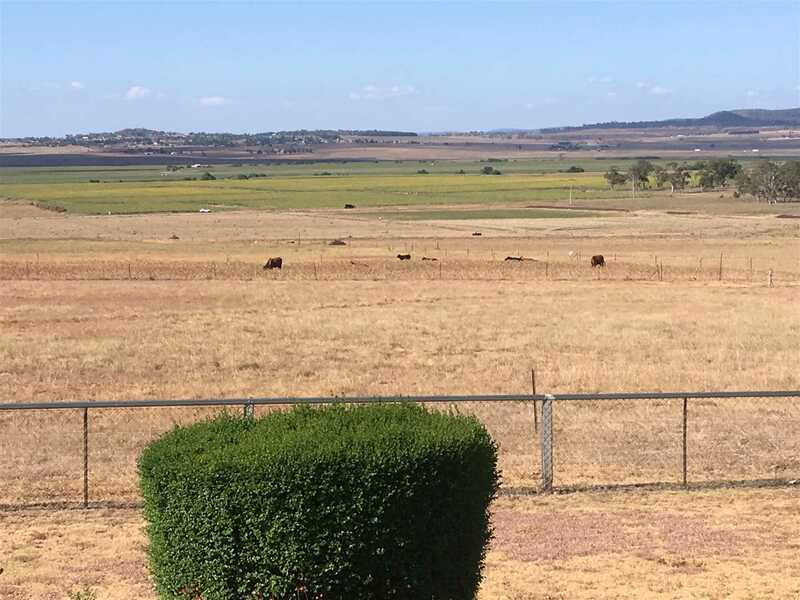 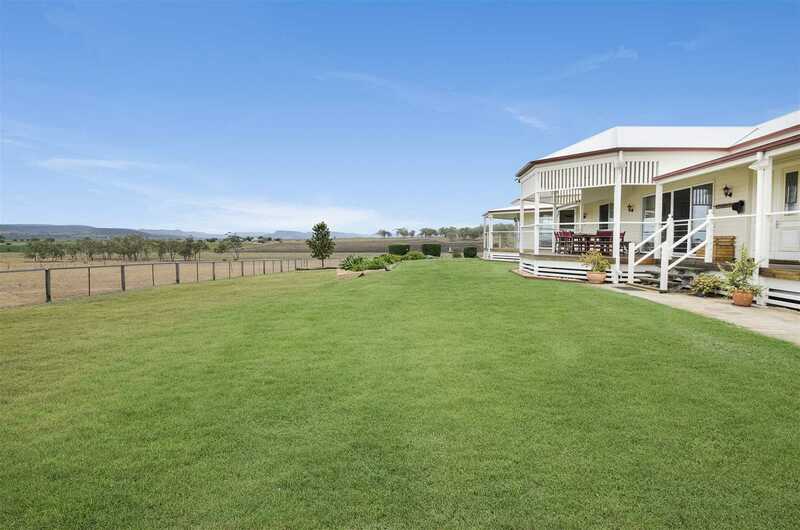 The 80 acres of rich red, brown and black soil can be cultivated or grassed and the whole property has stunning views of the rolling downs and hills to the north. 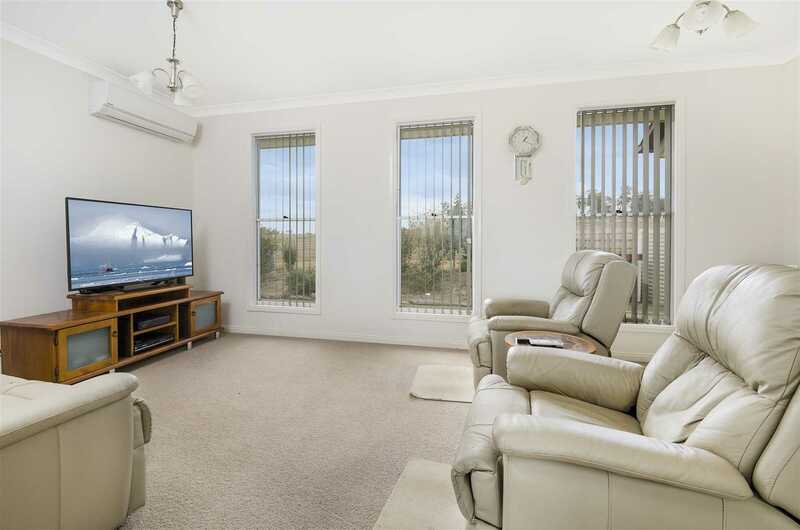 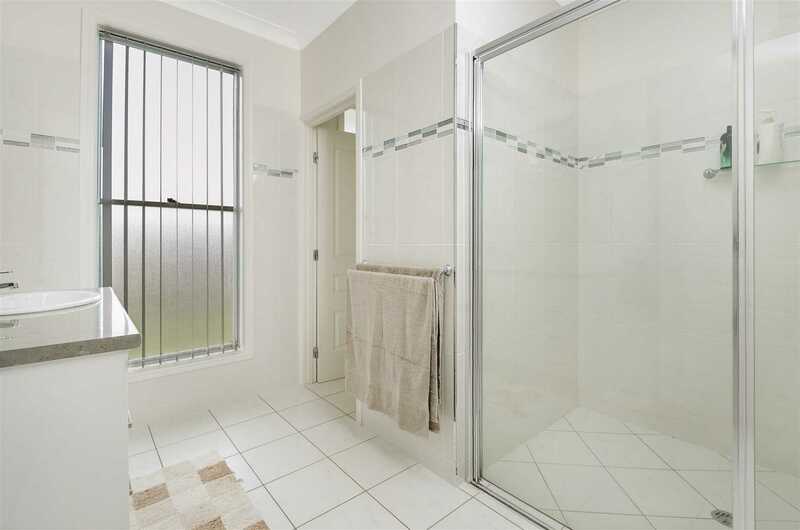 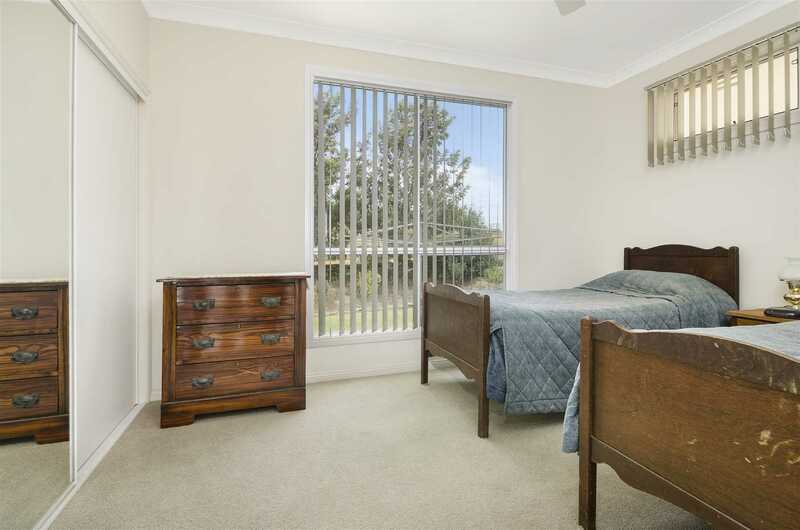 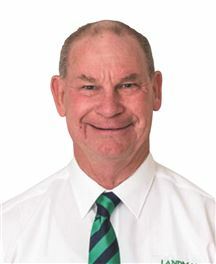 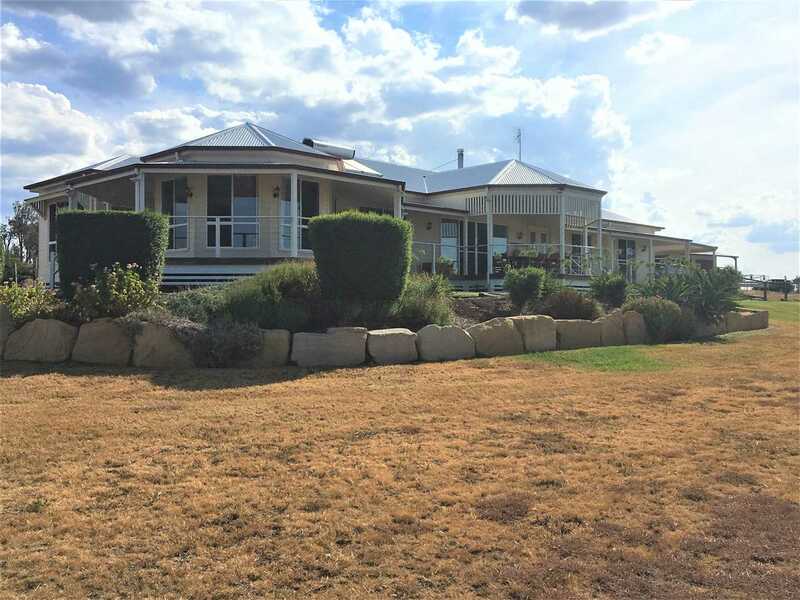 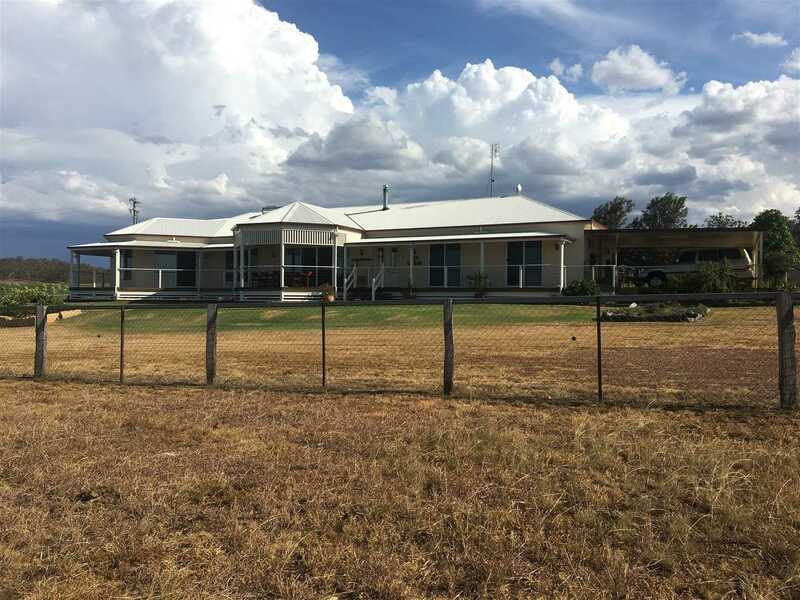 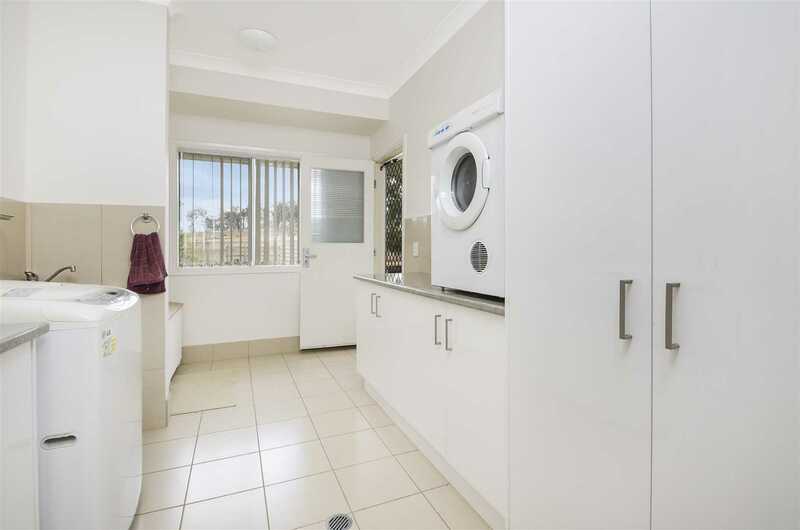 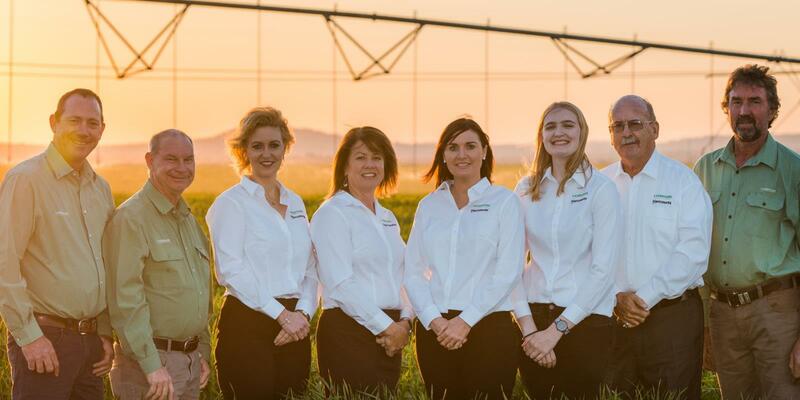 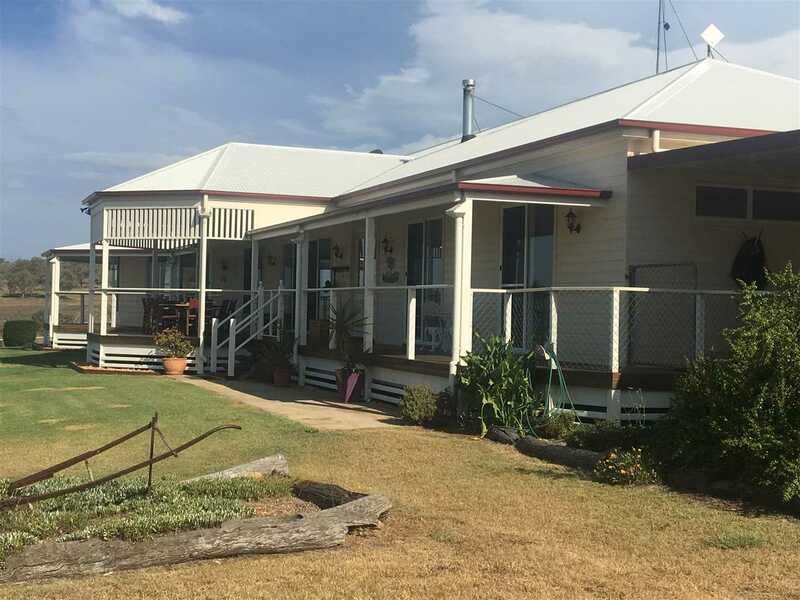 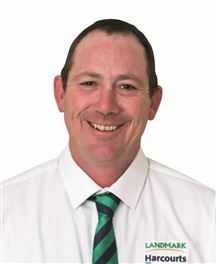 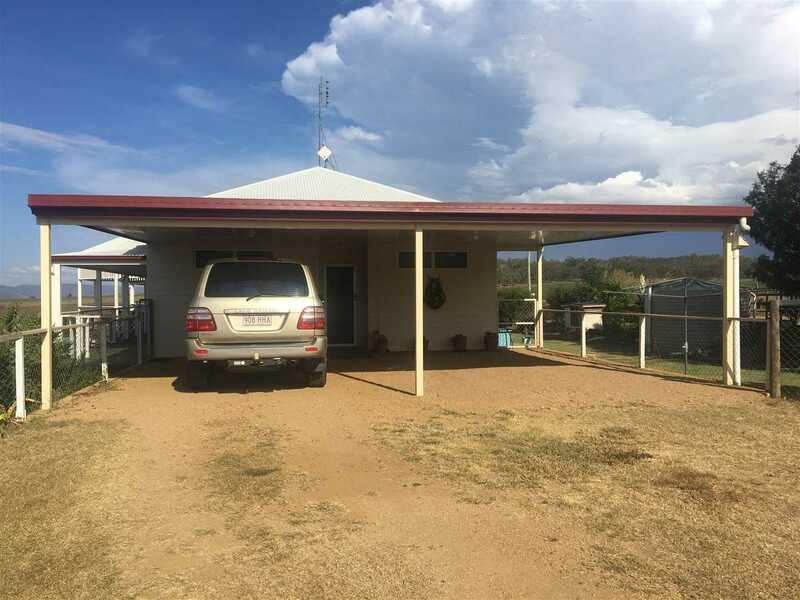 There is nothing that can fault this property which has an ideal location with immediate access to Brisbane, Toowoomba and north, and Warwick and to the south. 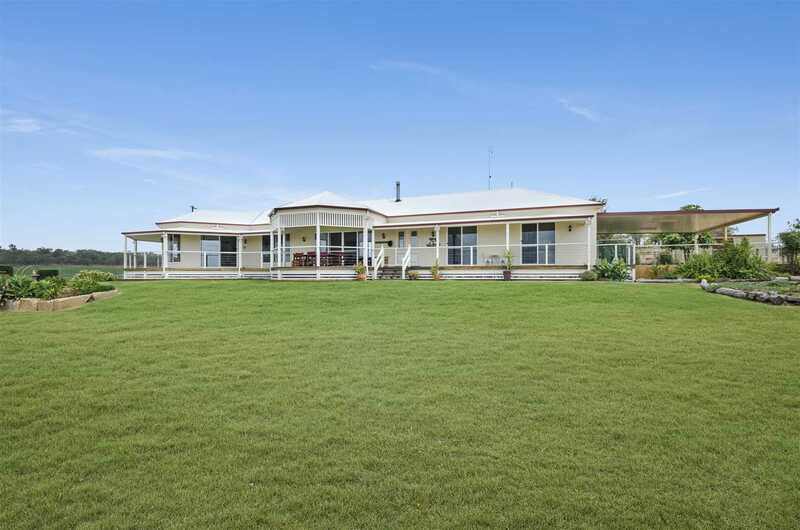 All in all an outstanding property, one of a kind, and certainly not one to be missed.